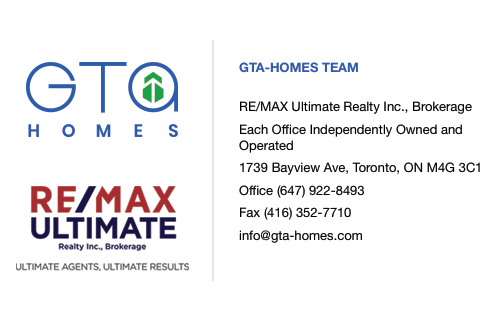 This developer has been working in the Greater Toronto Area for over 17 years. Their focus is to bring preeminent luxury homes to prospective residents in selected neighbourhoods in the city. They specialize in working with the city to rezone properties so they can work on premier projects in previously under-performing neighbourhoods. Transforming these areas into high performance developments means ensuring quality products, and that’s why this developer dedicates themselves to providing top quality homes that use the best materials. They also understand the value of creating homes with modern design for the contemporary home buyer who wants to live in a home that displays the cutting edge of the industry. Solotex Corporation places a premium in industrial or commercial properties that are underperforming in their current neighbourhoods. 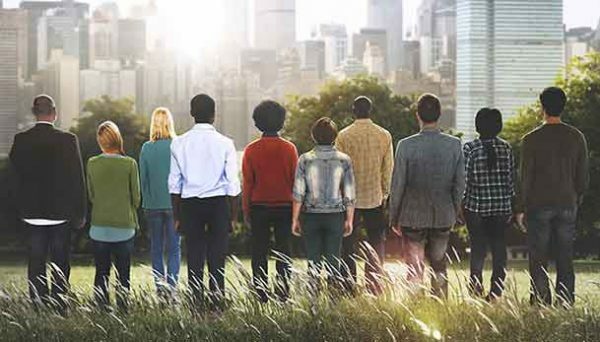 Where most developers see struggling properties, this developer sees a real chance at increasing value not just for themselves, but for their prospective residents as well. 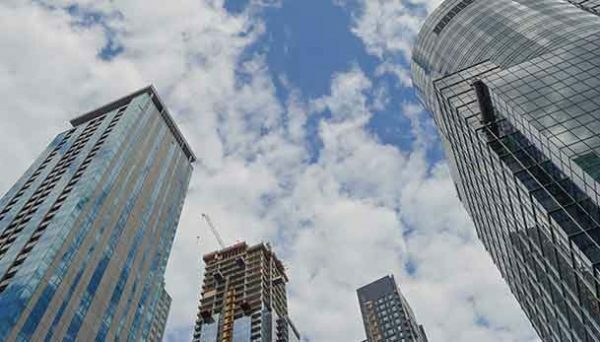 They understand that rezoning is a complex bureaucratic procedure, and that’s why they’ve committed themselves to work closely with the city of Toronto. Real estate news is often filled with stories about developers struggling to get their projects off the ground because of disputes with the city council, but this developer understands that if you partner yourself with the city, you’re able to create spellbinding developments that work to improve the city for everyone. Of course once you get your proposal approved, you’re not going to be able to increase the value of your acquisition without delivering a top quality product. This is why this developer focuses on providing quality craftsmanship in each one of their developments. When you buy townhomes or condos from this developer, you can rest assured that they did everything they could to ensure that your home is everything that you dreamed of. Not every neighbourhood is poised to deliver excellent returns in value, that is why this developer is careful to pick acquisitions in select neighbourhoods in the city. They’ve focused their attention on communities to the east of the Don Valley. These areas are largely underdeveloped in relation to other Toronto neighbourhoods today. They have two developments in the Danforth Village, which is a community that is connected by the subway line to the entire GTA. Despite the connection, the Danforth is mostly untouched, and it still retains a lot of its old Toronto charm. By building in older Toronto neighbourhoods, they’re able to strike a balance between old and new by building townhomes and condos with modern design. These modernly designed homes ensure that these developments stand out from the crowd, while simultaneously being able to blend in seamlessly with their surrounding communities. They act as specks of modernity that punctuate the timeless charm of older homes in Toronto. This developer is a master at working with the city to deliver excellent value in their new developments. They do this by finding underperforming properties and rezoning them to reach their full potential. They also understand that in order to create excellent value, you have to provide the best products in the best neighbourhoods. Most new development in central Toronto has been focused to the West of the downtown core, but this developer sees inherent value to the East of the city. This area still has a classic Toronto feel with the added bonus of having great proximity to the subway lines. They bring their own personality to these established neighbourhoods by creating homes with modern design. This mean their projects become landmarks in their surrounding communities. We can’t wait to see how they transform some of the most untouched regions in the Greater Toronto Area. This development brings beautifully designed townhouses and condos to the Danforth Village in the east of Toronto. They are located only minutes away from the Main Street Subway Station, so you’ll always have a connection to the entire city. In addition to the Danforth, they are also in walking distance to the burgeoning Leslieville neighbourhood that is becoming a hotspot for trendy boutiques and gourmet restaurants. Their homes are outfitted with granite countertops, stainless steel appliances, Cartier kitchen cabinetry, and oak staircases. They were completed in 2013, and they are located at 2320 Gerrard Street East. 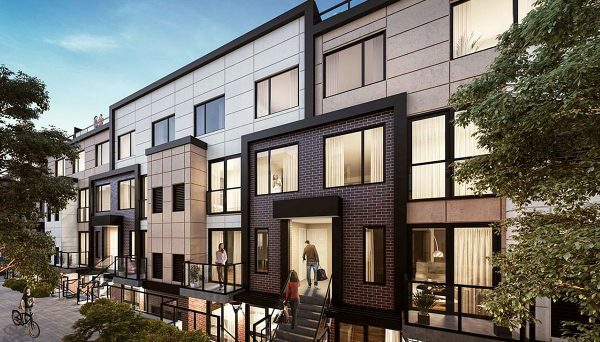 These luxury townhomes split the difference between the historic Danforth Village and the burgeoning neighbourhood of Leslieville. This is a perfect location for foodies, as Danforth provides some of the best Greek food outside the Mediterranean, and Leslieville is a great spot for contemporary Canadian fare. The homes are beautifully designed with custom wood decks, built in air conditioning, and custom roofs with canopies. They were completed in 2010 and they are located at 2234 Gerrard Street East.